For 62 years, RoSPA has been rewarding good health and safety practice across all industries, recognising those who work tirelessly to ensure that their colleagues, employees, customers and suppliers go home safe to their families at the end of every day. It’s this passion for safety – for saving lives and reducing injury – that drives us to do what we do, and it’s that same passion that sees thousands of organisations, large and small, in the UK and overseas, enter the RoSPA Health and Safety Awards every year. Through the awards, we and our winners have been improving the working practices of organisations around the world as they strive to better themselves, increase productivity, boost morale, improve reputation and, vitally, look after their most important assets – their people. Completing a RoSPA Awards submission involves reflecting on and reviewing your previous year’s occupational health and safety performance. This means entering your submission is an ideal reflective activity which may count towards your continuous professional development portfolio. There are lots of different awards categories for every type of organisation. There are no first, second or third places for the majority of our awards, with most of them being non-competitive and recognising health and safety achievement. However, there are also competitive awards that recognise outstanding performance in various industry sectors and specialist areas for organisations that wish to be judged against others. Winners will receive their awards at one of four prestigious ceremonies or gala dinners. Any number of guests are welcome to attend the ceremonies, allowing all who have contributed to the organisation’s achievement to celebrate the success. 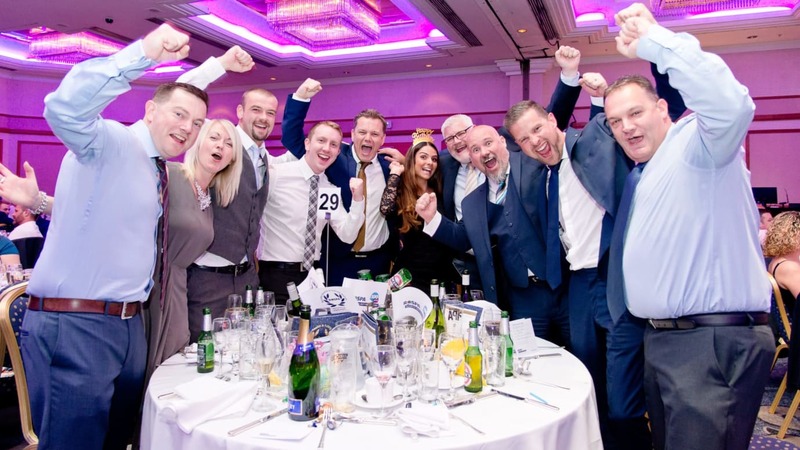 The daytime ceremonies are followed by glittering gala dinners which provide the perfect platform for winners to reward the hard work of everyone involved in keeping on top of safety. Each entry is entitled to one free seat – and there are huge discounts on tables of 10 and 12. Winners can expect a fantastic night of celebration with fine food, live music and after dinner entertainment.